Paying attention to all the details is important in my job. 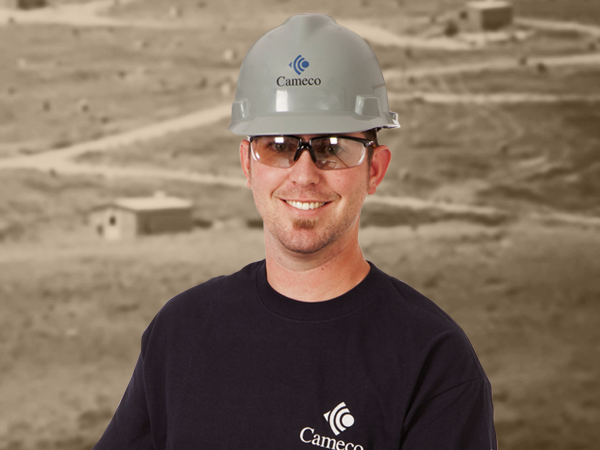 "Because of the relationships we build at Cameco on a personal level, my team works better together. We trust each other. Paying attention to all the details is important in my job because of the magnitude of what I can impact.During hard economic times, we haven't really felt the impact as strongly, and it is nice to have that type of security. I am very fortunate." Tony is a satellite foreman at Cameco's Smith Ranch-Highland mine, which is located in eastern Wyoming. Smith Ranch-Highland is America's largest uranium mine, using the environmentally friendly in situ mining method to produce uranium through well fields. Tony's job is to maintain a balance in the well field. Tony ensures there is never too much injection fluid and production levels are maintained. Using an injection well, a mixture of water, oxygen and carbon dioxide is injected into a well to detach the uranium from the orebody. The solution is then pumped to the surface through a production well, where the uranium is then removed at the processing plant. Prior to becoming foreman, Tony was a satellite operator, and previously had been a pulling operator where he would set and repair pumps and motors. On Tony's days off, he would go out to the mine site to practice for his commercial driver's license (CDL), which helped him advance his career with Cameco. Through his determination and his commitment to Cameco, Tony obtained his CDL and became a satellite operator.